Pastore tried to talk to him, but Marbut, 54, persuaded him not to blow his carefully crafted cover. As his first order of business, Marbut had created this disguise -- including the beer-soaked clothes and a pack of 305 cigarettes, despite the fact that he doesn't smoke or drink -- so he could embed with Daytona’s homeless people in order to understand their struggle to survive, if only for a few days. On a Wednesday evening in October, Marbut presented his findings to an eager Daytona Beach City Commission. Clean-shaven and dressed in a dark suit, he stood at a lectern facing the commissioners, his back to an overflow crowd of more than 100 concerned citizens, local business owners and a handful of homeless people. There are 41,542 homeless people in Florida, the third-highest number out of all states in the country. The state has the third-highest unsheltered population as well, with more than half of its homeless on the streets at night. There are more than 1,000 homeless people in Daytona Beach and the surrounding Volusia County alone, according to the most recently available official estimate. "It is weather that brings people to our community here," Marbut told the commission. "Where your palm trees are, your golf courses, your beaches are is where your homeless people are, just throughout Florida. You will always have an inflow." Daytona Beach can’t do anything about its balmy temperatures, of course, but there was one approach it could take. Over the past decade, national homelessness experts have come to a consensus about how to end homelessness: by giving the homeless homes. The approach, called Housing First, has been thoroughly vetted through independent studies. Marbut, however, had other ideas. He told the commissioners that the city had been too accommodating. It should discourage “goodies” in the form of handouts from citizens and social services, he said, and it should join forces with other nearby municipalities to change their habits of “enabling” the poor. "If you continue to do it the way you're doing it," he warned, "you will only continue to grow homelessness." Marbut promised his strategy would succeed in getting homeless people off the streets. He has called his approach "The Velvet Hammer." Observers might dispute the idea that Daytona Beach has coddled the homeless. Daytona Beach and other Florida cities have been busy putting homeless people in handcuffs in an effort to get them out of areas where the sight of them might offend the delicate sensibilities of passersby. To that end, the Daytona Beach City Commission in 1999 banned aggressive panhandling. In 2003, it passed another ordinance ordering panhandlers, aggressive or otherwise, off 10 of the city’s main thoroughfares. In 2011, local business owners successfully lobbied the city to ban begging for food in the downtown area. In 2012, the city passed an ordinance that restricted where people could hand out food to the homeless. Citing the most recent law, Daytona Beach made national headlines last year when police cracked down on a religious couple that had been providing meals to the homeless in Manatee Island Park, not far from downtown. Once a week for months, Chico Jimenez and his wife, Debbie, had been setting up folding tables with a spread of homemade food for about 100 homeless people there. In May, police broke up the meal and banned the couple from the park. Daytona Beach Police Chief Mike Chitwood took a dim view of the charity work. He told HuffPost he remembered when the park used to be called "Rat Island" before the city redeveloped it in the early 1990s, eventually adding playgrounds and picnic areas, boat docks, kayak-launching sites and spots from which to view the manatees swimming in the Halifax River. In 2012, the city spent $20,000 building a dog park on the island, part of an overall downtown revitalization effort. "The city spent millions and millions of dollars on that, and it has basically become a homeless camp," Chitwood said of Manatee Island Park. Besides, he said of some of the people in the lunch line, "It didn't look like too many of them were missing a meal." Laws targeting the behavior of homeless people are popular across the country. In the past two years, 21 cities have restricted the sharing of food with the homeless, according to the National Coalition for the Homeless. And in a 2014 survey of 187 cities, the National Law Center on Homelessness & Poverty reported that since 2011, citywide bans on public camping have increased 60 percent, begging bans have increased 25 percent and bans on sitting or lying down have increased 43 percent. Florida has been something of a leader on food sharing bans. Indeed, the crackdown on Chico and Debbie Jimenez in Daytona Beach was followed a few months later by a similar action in Fort Lauderdale, where a new public food-sharing ban went into effect on Oct. 22. Soon after, police arrested a 90-year-old pastor named Arnold Abbott for the crime of handing out food to the indigent on the beach. Laws restricting panhandling, sleeping in public and other activities associated with homelessness have been passed in cities across the state, including Fort Lauderdale, Tampa, Melbourne, Deland and Miami. Last fall, Sarasota voted to give its homeless residents one-way bus tickets out of town. The city of Hollywood last year not only planned a panhandling crackdown, it also spent $4.8 million buying a homeless shelter for the express purpose of knocking it down. An appraisal for the city explained that the neighborhood around the shelter was "negatively affected by the presence of this homeless shelter that houses emotionally and physically deficient and threatening-looking individuals." Not content to simply tear the shelter down, the sale contract also forbid the shelter’s owner, Sean Cononie, from living in the city anytime in the next 30 years. "I’ve actually been exiled," Cononie, 50, said in an interview. Marbut presents himself as someone who can break the cycle of criminalization. One of the "Core Tenets" on his website notes that "arresting homeless individuals has never ended homelessness" and that criminal enforcement should be a last resort. Instead, according to his "Seven Guiding Principles," society must "engage" the homeless and "move to a culture of transformation." Marbut is a big, tall guy with a friendly face. Since 1999, he has taught government at a San Antonio community college, but he is increasingly passionate about his more recent work as a traveling homelessness consultant. "This is really becoming my life walk," Marbut said in an interview. "This is my mission in life -- to try to help homeless individuals graduate from the street." His first big job addressing homelessness came in San Antonio in the mid 2000s. In a speech in 2006, then-Mayor Phil Hardberger said the city's rapid economic growth came with social responsibility. "There’s a lot of poor souls out there that had no place to lay their head at night," Hardberger recalled in an interview, noting that the sight of homeless people sleeping in doorways also hurt the city's image. "They were stuck in life. That was going to continue to be their situation until they died." The city had already been grappling with the issue, having passed ordinances targeting aggressive panhandling and public urination the previous year. As part of his new push, Hardberger created a task force to come up with solutions. The task force in turn tapped Marbut, who had been a member of the San Antonio City Council in the late 1990s and had been helping the city coordinate its response to large numbers of New Orleans evacuees in the wake of Hurricane Katrina. Marbut advocated building a new shelter downtown, in an area already frequented by many of San Antonio's homeless people and near existing services. The new shelter, Haven for Hope, opened in 2010 with Marbut at the helm. The facility has a $15 million operating budget and provides shelter for up to 1,500 people -- about 500 of whom sleep outside in a courtyard. Marbut served as director until August of that year. He and current Haven officials make clear that Haven for Hope is not just another shelter. "We don’t use the term shelter," Marbut says. "We use the term transformational campus." These days, Marbut also shies away from the term "Velvet Hammer," which sounds too punitive. He said he much prefers the phrase "Velvet Gavel." Marbut offers the same basic advice to most cities: Cut the goodies and build a shelter. It's a simplistic solution that avoids the larger complexities surrounding homelessness. Aside from allowing inebriated people to stay in the courtyard, another key difference between Haven and most shelters is that it remains open during the day. It also houses 36 different nonprofit organizations that provide food, job training, resume building and other forms of aid. The facility has been politically popular, despite some concerns about increased nuisance crimes in its vicinity. An annual count of homeless people in San Antonio found 1,634 unsheltered individuals in 2010, before the shelter opened, and just 391 last year. "We definitely have a first-rate facility here," said councilwoman Shirley Gonzales, who represents the area. But one problem with shelters as a strategy to end homelessness is that people in shelters still count as homeless. Though San Antonio likes to say there were 391 homeless people downtown at the last count, the downtown crowd is only a subset of the city's homeless population. The overall count shows a less dramatic decline, from 3,580 to 2,892. Officials from St. Petersburg, Florida, toured the San Antonio facility, and in 2010 they hired Marbut to replicate its success. Marbut claimed his work in San Antonio led to an 85-percent reduction in street homelessness. In 2011, the Pinellas Safe Harbor facility opened in Clearwater, a 20-minute drive from St. Petersburg’s downtown. That year, Marbut also provided his services to Fort Smith, Arkansas, and the following year he returned to Florida to advise Panama City. He consulted for Key West and Sarasota in 2013, before making his way to Pensacola and Daytona Beach. He is currently also advising Placer County, California. These days, work practically falls into his lap. Marbut offers the same basic advice to most communities: Cut the goodies and build a shelter that stays open all day and doesn't turn anyone away. It's an attractively simple solution that also avoids having to grapple with larger complexities, such as a lack of affordable housing. And in Marbut's view, having enough shelter beds means cities don't have to go through the trouble of repealing all their anti-homeless ordinances. According to the last official "point-in-time" count of the homeless in January 2014, there were 1,445 homeless people in Daytona Beach and the surrounding Volusia County, but few options for even temporary housing. There are just 18 beds for single adults in Daytona Beach, according to the Volusia/Flagler Coalition for the Homeless, and when the temperature dips below 40 degrees churches and ministries make another 200 beds available. There are also several dozen beds in other facilities for families, recovering addicts in treatment, and women and children. To help those with nowhere else to go, Marbut recommended that Daytona Beach build a large shelter -- modeled after the ones in San Antonio and St. Petersburg -- that could house 250 single men and women inside, with a courtyard space for 50. It would be a come-as-you-are facility that, unlike most shelters, wouldn't turn away people who were drunk or high, one that would give them dignity and also a host of rehabilitative services, ranging from drug counseling to haircuts. And it would stay open during the day instead of just at night, so residents wouldn’t be forced out onto the city’s streets during business hours. Lack of beds is a serious problem that is often handled by police. 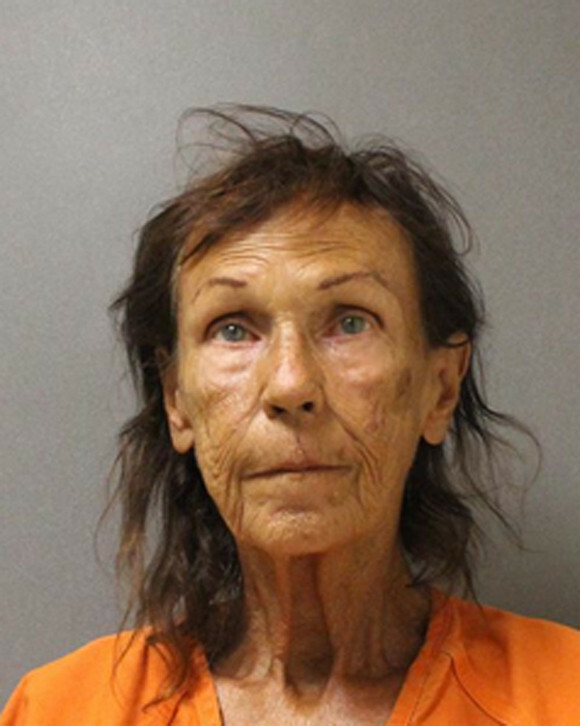 In September, Daytona police arrested a 70-year-old woman for lying down on a sidewalk. "I didn’t have any place to sleep," the woman, Ann Regula, told HuffPost in an interview. She said she lives on $740 per month in Social Security retirement benefits and can’t afford an apartment. So she’d lain on the sidewalk outside a church. "I have no police record, and so now I do for trespassing," Regula said. The charge shows that a city doesn't even need an anti-sleeping ordinance when things like "trespassing" can encompass a range of activities. Daytona Beach Mayor Derrick Henry makes no bones about the fact that part of the goal is simply to make homeless people go away. "To say otherwise would be disingenuous," he said. "We do want to remove the homeless people from heavily populated parts of our community that are trying to do business." Marbut's recommendations would bring city policy out of the Gilded Age, when American towns tried to outlaw tramps, and all the way into the 1980s -- when America responded to a growing homelessness crisis with an ad hoc system of emergency shelters. Yet the current thinking about how to eradicate homelessness has since moved on from the shelter-based response. Instead, for the past decade or so, homelessness experts have espoused an approach known as "Housing First," which gives people a permanent roof over their heads before anything else. Case studies strongly suggest it's vastly more effective than letting chronically homeless individuals drift through shelters, jails, emergency rooms and the streets. "Criminally punishing people for engaging in basic survival activity simply doesn’t work -- an arrest record puts more barriers between people and getting housing and employment so they can get off the streets," Eric Tars, an attorney with the National Law Center on Homelessness and Poverty, said in an email. "In the end, only housing solves homelessness." The federal government did not begin to track homelessness at a national level until 2007, when the Department of Housing and Urban Development started taking an annual count of the number of homeless people on the streets or in shelters. The 2007 count registered 651,142 homeless people on a single night in January, and that number has served as a baseline for measuring progress ever since -- though the count misses large categories of people, including those staying with friends or at cheap hotels, and others who are on the verge of eviction or in jail. By the time the department started counting the homeless, it had become clear to experts and national policymakers that shelters alone could not address the issue. In the early 1990s, a nonprofit called Pathways to Housing launched in New York City with a new approach: giving chronically homeless individuals apartments in locations of their choosing. Instead of requiring people to demonstrate their deservingness by checking into rehab or enrolling in job training before they were given a decent place to live, Pathways focused on making sure homeless people had a roof over their heads. Once housed, the formerly homeless received support in the form of rent subsidies, mental health counseling and job assistance. Pathways has since opened local affiliates in Philadelphia, Vermont and Washington, D.C., and other groups have replicated its approach in more than 40 cities. The federal Substance Abuse and Mental Health Services Administration evaluated the program in 2007, finding Housing First participants two years out had spent 80 percent of their time stably housed, compared with 30 percent of a control group enrolled in traditional programs with treatment and sobriety prerequisites. The federal review also found Housing First participants incurred significantly lower costs than the control group. Studies and cost-benefit analyses have turned up essentially the same results for Housing First initiatives in other parts of the country. "Mental health and addiction are quite difficult conditions to treat," Sam Tsemberis, the founder of Pathways, told HuffPost. "But homelessness is not a condition like that. It’s instantly cured by housing." "A community has to make a decision about how they’re going to address homelessness, and the decision to make is whether they’re going to manage homelessness or end homelessness," Tsemberis said. The federal government began to break away from its reliance on shelters under the direction of George W. Bush's homelessness czar, Philip Mangano, who traveled the country likening the eradication of homelessness to the abolition of slavery and encouraging local governments to adopt Housing First strategies. He said he always asked homeless people what they needed most. "Invariably the answer to that question would be, 'I need a place to live,'" Mangano said. By 2008, the number of chronically homeless had fallen by about 30 percent. "Criminally punishing people for engaging in basic survival activity simply doesn’t work. … In the end, only housing solves homelessness." The Obama administration has similarly pushed Housing First as part of its plan to end chronic and veteran homelessness. Last summer, First Lady Michelle Obama kicked off a "Mayors Challenge" to boost the veterans initiative, and local leaders in more than 400 cities have taken it up with gusto. New Orleans officials announced in January that the city had succeeded in housing 100 percent of its homeless vets. Last fall, the Department of Housing and Urban Development reported that the nation’s overall homeless population had decreased 10 percent, to 578,424 people, since the Obama administration launched its initiative to end homelessness in 2010. The number of unsheltered homeless had declined 25 percent. Of course, most people who find themselves in need of shelter aren’t chronically homeless, a group that represents just 14 percent of the total. The broader homeless population is composed of people whose housing situations became unstable for economic reasons, such as low wages and unemployment, or because of illness or domestic violence. The average duration of a shelter stay is 24 nights. Though available funding by no means matches the scale of the problem, the federal government's response to short-term homelessness follows a similar principle as its answer to the chronic kind: The goal is to help people either avoid eviction or at least get back into housing as quickly as possible, with rent subsidies and other forms of aid. Homeless advocates agree that shelters remain an important part of overall homelessness policy -- just so long as they aren't the only response. "There needs to be a safe, dignified environment where people can come in if they suddenly lose housing because of a crisis," Laura Green Zeilinger, director of the U.S. Interagency Council on Homelessness, said in an interview. On its own, however, Zeilinger said a shelter-based response will inevitably lead to hospital stays and handcuffs, which she describes as "always the wrong response to homelessness." "When all communities do is provide emergency shelter but don’t have access to housing," she said, "they end up either investing in more and more emergency shelters and not having money to devote to the housing solution, or they don’t have enough shelter beds and they end up with a lot of folks who are unsheltered, [and who] have no other choice but to do outside what people would much rather perform inside, and get arrested over it." Marbut, for his part, does not agree with Housing First as an overarching approach to homelessness. "I believe in Housing Fourth," he told HuffPost. In contrast to what national homelessness experts have found is most effective, Marbut thinks people need to get their personal lives in order before they should be awarded housing. He likens Housing First to improving the health of an emergency heart attack patient by putting him directly onto a treadmill. "If you have a heart attack, what we're going to do is send you to the emergency room," he said. "We're going to assess you, we're going to treat you and stabilize you, and then we're going to send you to the gym." Some homelessness experts are familiar with Marbut’s "Velvet Hammer" strategy. Though they agree an emergency shelter is better than nothing, they say his tough-love philosophy is too tough. "If the cities Marbut’s working with put the necessary resources into flexible housing programs and outreach services," said Eric Tars, the attorney with the National Law Center on Homelessness and Poverty, "they’d have no need for the criminalization parts of Marbut’s approach." Mangano, on the other hand, was surprised to hear anyone would actually advocate against Housing First. "He literally calls it Housing Fourth?" he asked. The approach didn't surprise anyone in Daytona Beach, however, since the concept of Housing First is mostly absent from the public debate. "I don’t know a lot about Housing First," Daytona Beach City Commissioner Kelly White told HuffPost in October, "and I don’t think our community does either." Cities hire Marbut based on his results, not what Beltway pencil-pushers say. He claims that thanks to the Pinellas Safe Harbor shelter, St. Petersburg has seen a 90-percent drop in street homelessness. At the shelter, the Velvet Hammer is in full swing. Safe Harbor provides 470 beds for single adults in an old jail building next to the current Pinellas County Jail. The Pinellas County Sheriff's office operates the facility with the help of a cadre of private security guards. 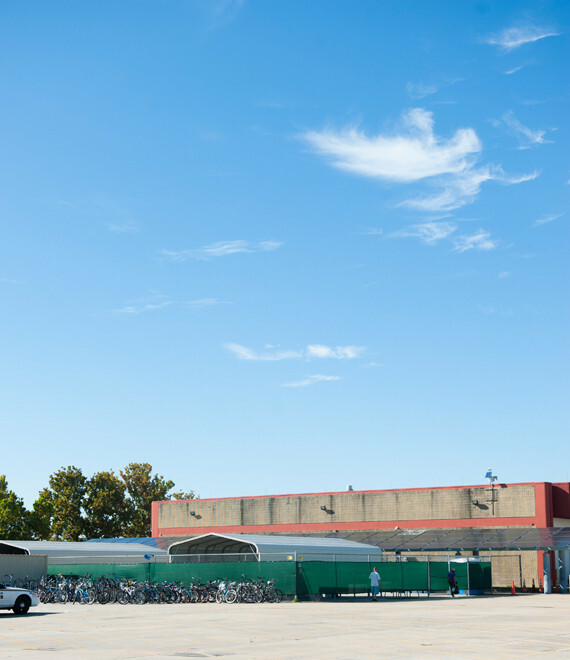 Like Haven for Hope in San Antonio, Safe Harbor is a come-as-you-are facility that welcomes anyone -- even providing an "amnesty bin" where new arrivals can deposit contraband before their stay -- and allows people to remain on the premises during the day, unlike most shelters. A metal detector is installed at the front entrance, but on an October afternoon staff members were absent as reporters walked through it. Not everybody gets to stay inside, however. That afternoon, people were also sleeping on mats beneath several metal canopies set up in a fenced-in area of the parking lot, as well as on the bare asphalt. According to the facility’s regulations, obtained by HuffPost, the courtyard is for residents who are inebriated or who have broken the rules, which can be as simple as being rude or failing to clean up. A form outlining punishment procedures calls for "3-5 days relocation to outside pod" if a resident is disrespectful. Marbut calls it a penalty box. "The homeless individuals inside the shelter, they like the penalty box because it improves the safety inside the facility," Marbut said. "The people who are generally the critics have never been there." Marcus Franklin, 30, said he stayed in the courtyard for 10 days after arriving in Florida from out of state and being unable to get a promised job. He complained that the outside sleeping quarters offered little protection from the elements, which can be bad when it rains. "It floods, that whole area's flooded and you still got to sleep out there," he said. Referring to the metal tents, he added, "Those things have no sides on 'em. The water's still hitting you. You're soaking wet." Franklin and his fiancee, 26-year-old Sylvia Floyd, spoke to HuffPost as they were waiting to collect their personal belongings from the shelter. They said they had been kicked out because the shelter thought they were "causing too much problems," but they were excited to be leaving. "When we got here we realized it's ran by the prison guards," Franklin said," so they think that we're inmates instead of homeless people." If Safe Harbor was supposed to solve St. Petersburg’s homelessness problem, why hadn’t it succeeded? 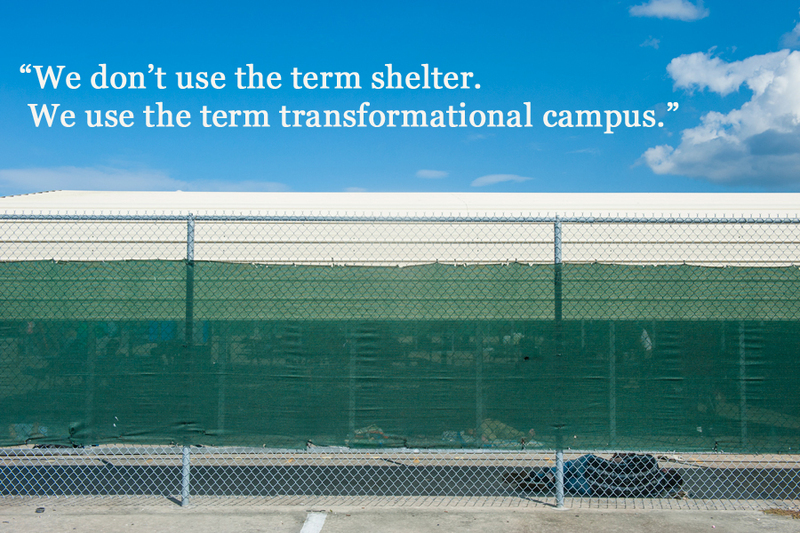 How many people actually "transform" when they visit Marbut's transformative campus? From 2011 through 2013, nearly 80 percent of Pinellas Safe Harbor residents left within a month, and 88 percent left for unknown reasons or because they violated curfew and were kicked out, according to sheriff's department data. Just 7 percent of those leaving found permanent housing, 3 percent went to another shelter or a friend or relative, and 67 percent headed for an "unknown" destination. To Sarasota officials who were considering Marbut's proposals, the data from St. Petersburg raised some concerns. Marbut brushed them aside. He told Sarasota officials that the data from St. Petersburg was a "technocrat data set," dismissed it as "trivial in nature" and argued that the Safe Harbor facility had indeed achieved its goals. In addition to the decline in street homelessness, Marbut said that as many as 400 fewer homeless people were locked up in the Pinellas County Jail each night. Sarasota officials ultimately abandoned the shelter idea, however, mostly because they couldn't agree where to build it. Back in Daytona Beach, Barry Davis, then a board member with the Volusia/Flagler Continuum of Care, a coalition of local homelessness groups, said in May that he thought the St. Petersburg data looked pretty bad. "The report demonstrates that Safe Harbor has been a failure as a strategy to end homelessness," he said in an online discussion group. Nevertheless, the board eventually endorsed Marbut’s plan, and Daytona Beach renewed Marbut's contract in January at a cost of $7,201.25 per month for 14 months, plus up to $35,000 for expenses. The new payment will bring Marbut's total compensation from the city since last year to roughly $185,000. Lisa Hamilton, director of the Volusia/Flagler County Coalition for the Homeless -- the biggest organization among the many that make up the Continuum of Care -- suggested the board considered Marbut's proposal worth endorsing even if it didn't reflect the most current thinking on ending homelessness. "I believe that the continuum endorsed it because many people feel that there is momentum behind developing more shelter and building awareness that is needed in order to increase all of our housing options," Hamilton said, echoing a view shared by several other homeless service providers in the community interviewed by HuffPost. Hamilton said the Marbut shelter shouldn't be viewed as the totality of the local government's homelessness strategy. The continuum's most recently available funding request to the Department of Housing and Urban Development says the organization oversaw 94 permanent supportive housing beds and hoped to have 123 by the end of 2015. The awarding of grants to continuum of care organizations represents one of the only ways the federal government can influence homeless policy at a local level. Daytona Beach Mayor Derrick Henry said data reflecting poorly on the Pinellas County shelter doesn't necessarily mean a new shelter in Daytona Beach wouldn't be helpful. "I really believe that it’s going to boil down to the way you execute it within your community," he said. Marbut’s claims about the new shelter reducing the number of homeless inmates in the Pinellas County Jail don’t seem to square with official figures, either. St. Petersburg police have arrested more homeless people each year since 2009, according to the Pinellas County Sheriff’s office. From 2011 to 2012, the number of inmates who were transient or lacked an address rose about 15 percent to 4,153, and in 2013 it rose roughly 11 percent to 4,649. Last year saw a slight decline, to 4,562 homeless inmates. In an October interview, St. Petersburg Mayor Rick Kriseman said the rising arrests reflected bad police strategy, not a failure of the Marbut approach. "They just got away from interacting with the homeless community in the same way they had been previously," Kriseman said. Last year, the mayor appointed a new police chief, who emphasized walking and talking with people on the street. The city also deploys a homeless outreach team consisting of a police officer and social worker who talk to homeless people, offering rides to the shelter. 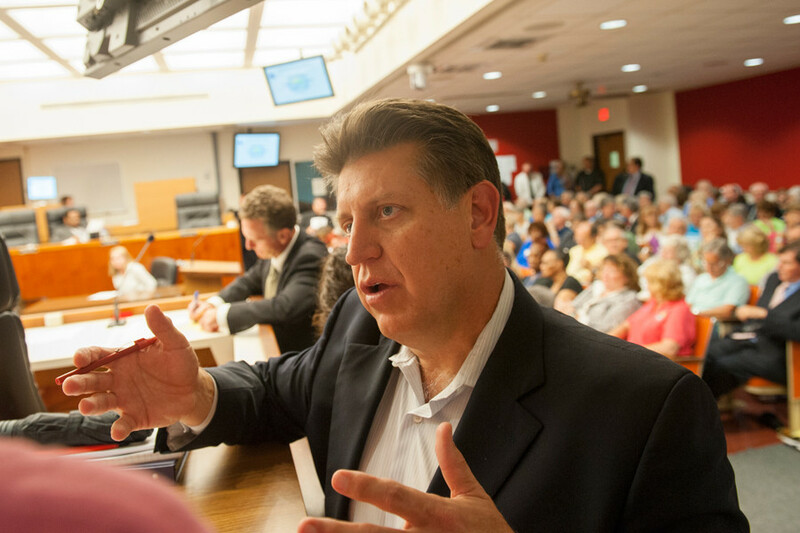 Marbut, for his part, said unusually cold weather elsewhere in the U.S. the past couple of years might be to blame for the rise in homeless arrests in Pinellas County. "The last two winters, people that normally come down for four months stayed for six months," Marbut told HuffPost. "There’s an artifact of sampling connected to the two winters." The sheriff's data suggest, however, that the vast majority of Safe Harbor residents came from in and around St. Petersburg, with less than 3 percent hailing from outside of Florida from 2011 through 2013. As for Marbut's claim of declining street homelessness in St. Petersburg, locals don't seem to share that impression. From 2013 onward, businesses increasingly complained to the media about too many homeless people and related problems in downtown's Williams Park. During a visit one weekday in October, approximately a dozen homeless people were camped in the park. The police were nearby, patrolling in a golf cart. In fact, it became such a problem that Kriseman, who rates homelessness as a top local political issue, asked Marbut last June to come back and submit a follow-up report. If Pinellas Safe Harbor was supposed to solve St. Petersburg’s homelessness problem, why hadn’t it achieved that goal? Marbut couldn’t find any fault with Safe Harbor. Instead, he partly blamed the St. Vincent de Paul soup kitchen, which operated a traditional shelter not far from downtown, giving out food and only sheltering people at night. During the day, the city’s homeless would continue to congregate in the parks, libraries and other public spaces downtown. Marbut advised making St. Vincent an all-day facility like Safe Harbor, and Kriseman embraced his recommendations last fall. Today, St. Vincent has a new fenced-in outdoor area, much like the one at Safe Harbor. Up close, it resembles a giant chicken coop for humans. Kirsten Clanton, an attorney with Southern Legal Counsel, a nonprofit group that provides legal services to the indigent, said she sees the fenced area as little more than a scheme to keep homeless people out of sight. Her group has repeatedly sued St. Petersburg over its efforts to keep homeless people out of Williams Park. "St. Petersburg's alternative to allowing homeless people to be in public places of their choosing during the day? A fenced-in area in a parking lot under an overpass next to a homeless shelter," Clanton said in an email. "If you sit outside the fence, you can be arrested under an ordinance that prohibits lying down or 'reclining.'" After re-upping Marbut's contract at the beginning of January, Daytona Beach is on track to start building its own Safe Harbor-like facility in March 2016, so long as Volusia County agrees to the plan. One of Marbut's jobs is to persuade Volusia officials to make it happen. To some, the shelter can’t come soon enough. Mike Chitwood, the police chief, said his department still gets weekly complaints about homeless people in Manatee Island Park. In July, a Yelp reviewer wrote that he and his wife had recently moved to the area and were excited to bring their dog to the dog park, but they had a "scary" experience because of all the homeless people in the area. "They were decent people, nothing was said off color but it was very uncomfortable for us," the man wrote. They didn’t linger. "Across the bridge we went and just kept on moving fast!" he wrote. "We did not look back. Got in the car and drove off in a flash and WILL NEVER RETURN!" 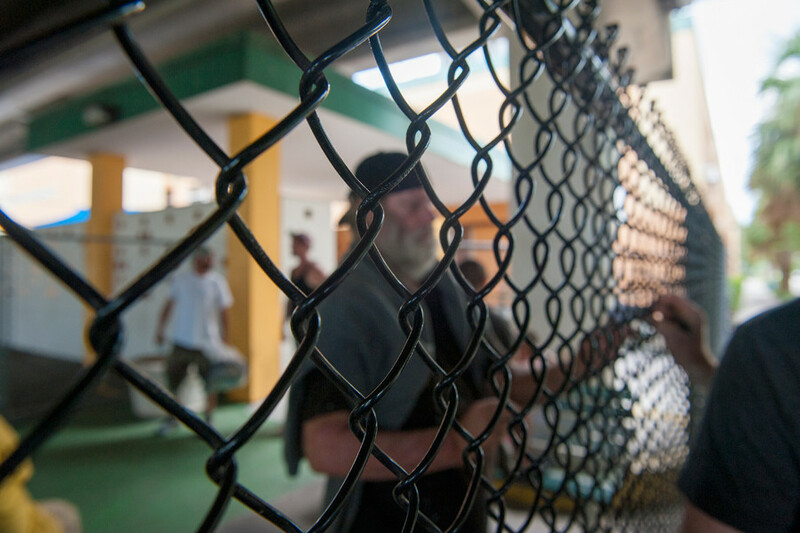 When Marbut first arrived in Daytona Beach, Michael Pastore, the local activist who was once homeless himself, said he embraced Marbut's pitch since he believed a new shelter would be helpful and the city's habit of arresting homeless people certainly wasn't. He has since complained to the city that homeless voices have been ignored during the planning process. He also wants local police to change their habits before the shelter gets built. "Daytona Beach doesn’t care about helping the homeless," Pastore said. "That’s why they brought Marbut in, because he was going to rubber stamp what they want to do. What they want to do is sweep everybody out."